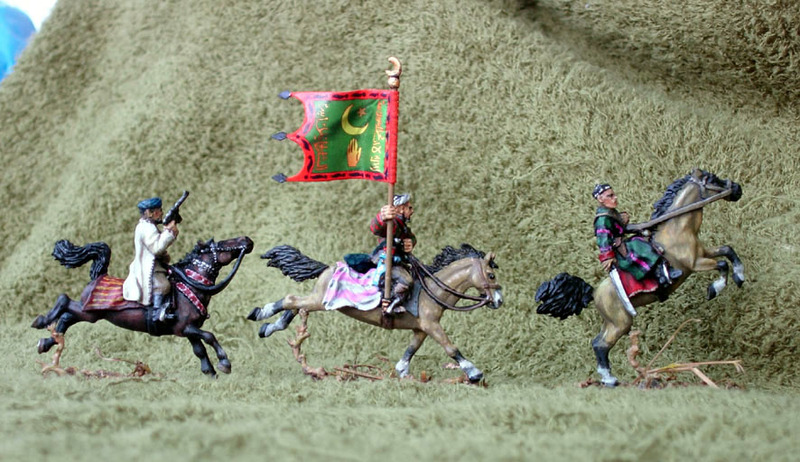 A set of three mounted figures. This data is not collected and painted. The figures are cast from tin alloy.